We love to hear from all members of the Siwa & Figli Community. 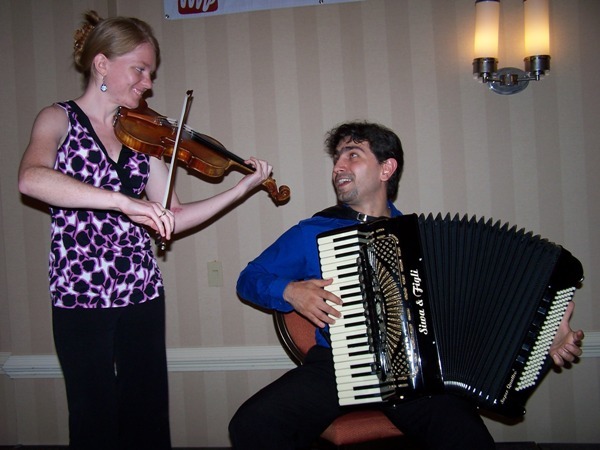 links to web sites and recordings of Siwa Featured Artists. 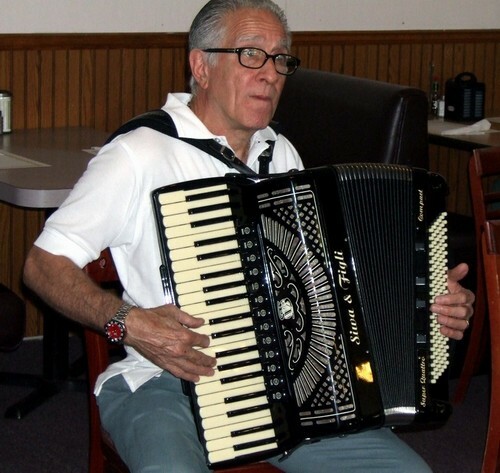 Join us and live your dream each time you play your Siwa accordion. We look forward to adding your picture to our Photo Gallery. The Siwa Super Cobra Elegant accordion has been featured in Alex Meixner's CD FAMILY TRADITION. Alex is a fourth generation musician and a demanding performer. His endorsement of Siwa & Figli is an honor. 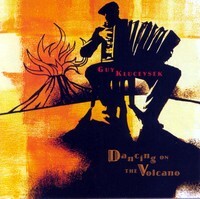 Our friend Guy Klucevsek released his latest project - Dancing on the Volcano. 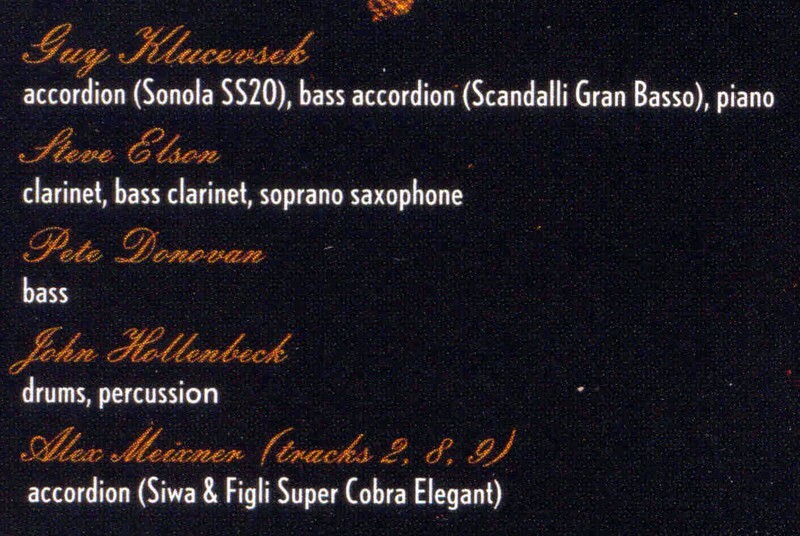 You are going to love the music - the the rhythms, the melody, the interaction with the clarinet and drums, the blend of Guy's Sonola SS20 with his Scandalli bass accordion and Alex Meixner's Siwa Super Cobra Elegant. 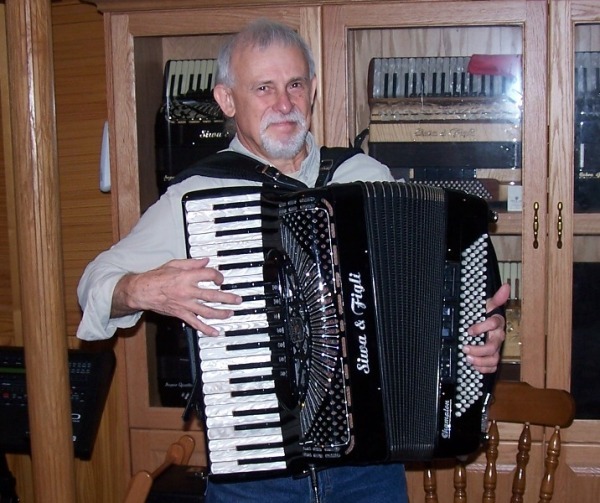 The Siwa & Figli Schumann model was designed in collaboration with Ron Oswanski, a highly respected musician and a long-time Accordion Gallery friend. 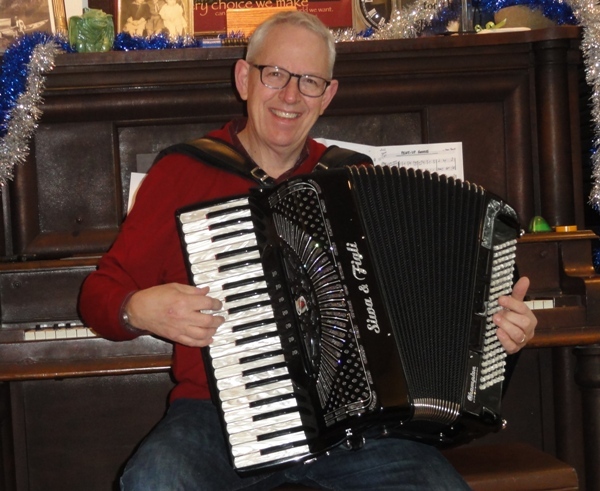 "The Siwa Schumann custom made for me with the help of Guenadiy and the Accordion Gallery captures everything I was looking for in a musette instrument. 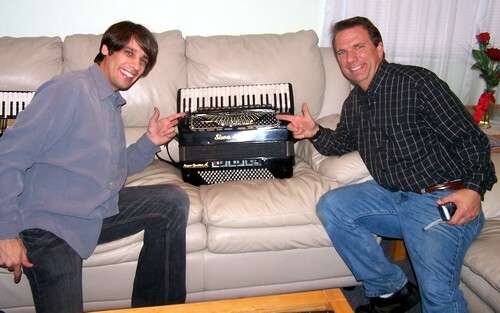 The accordion is custom designed from the ground up with a reed configuration of MMMM. ... The custom musette tuning was exactly as I asked... The Schumann, on top of it being a power house instrument, has the bonus of wireless midi built in. The setup allows me to not only run built in sounds from the internal sound card, but gives me the ability to WIRELESSLY run Mainstage at virtually no latency. 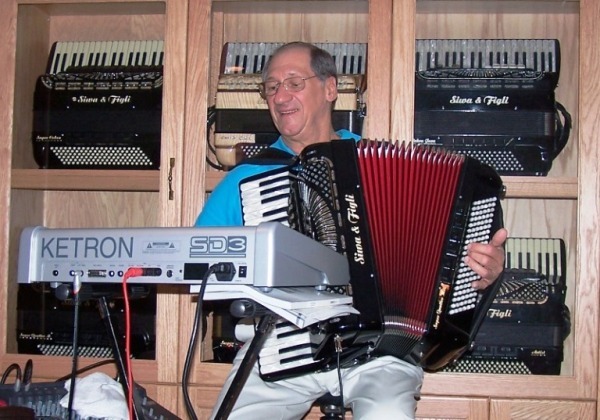 With a series of volume pedals, I'm able to mix my acoustic accordion with not only multiple bass setups, but combine those options with various synths all in real time and again,... all wirelessly! Thank you Siwa and Guenadiy!! "The Siwa and Figli Champion is exactly what I was looking for combining full size keys, and professional tone in a lighter weight instrument. ... The dynamic range of this instrument is remarkable." "I enjoy playing my new Champion"
Prof. Pablo De Vincenzo shares his music and positive energy with everyone he meets. 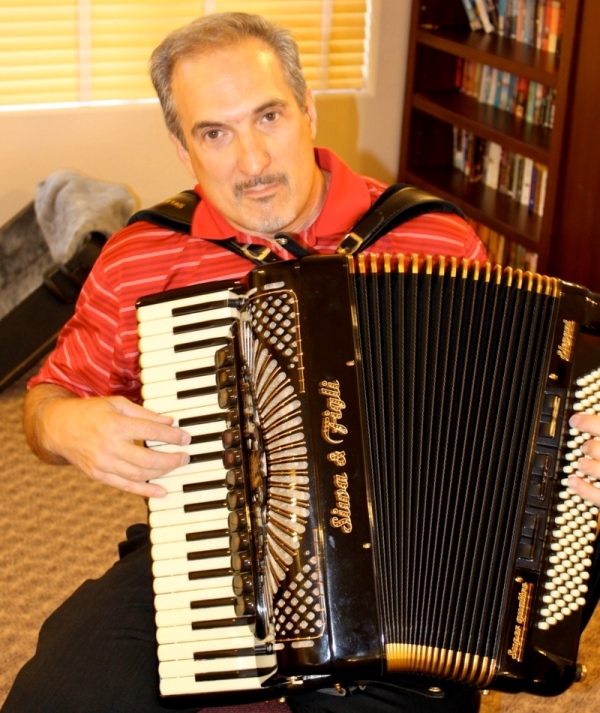 His repertoire spans a variety of international music. 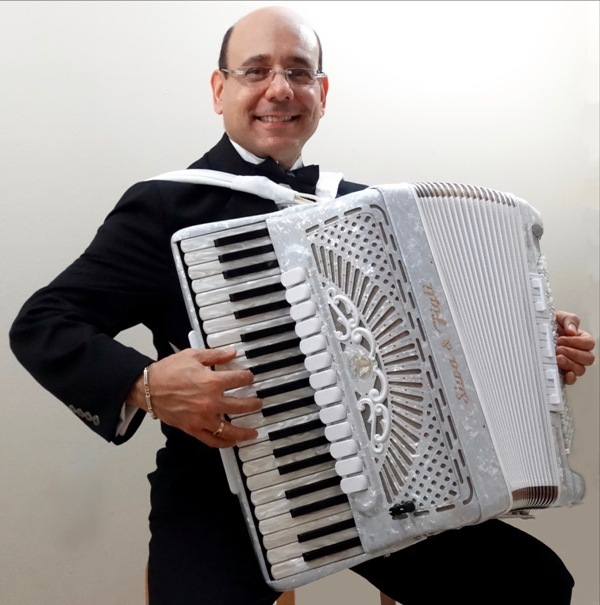 Pablo is truly a romantic accordionist and the Siwa & Figli SQ Artist White Star model is the perfect instrument for his musical creativity and passion. Esed Ramic's smile expresses his happiness with the Super Quattro Artist better than any words. 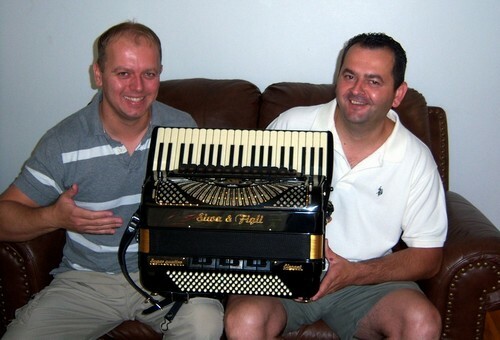 Congratulations to an old Accordion Gallery friend and a new Siwa & Figli fan. 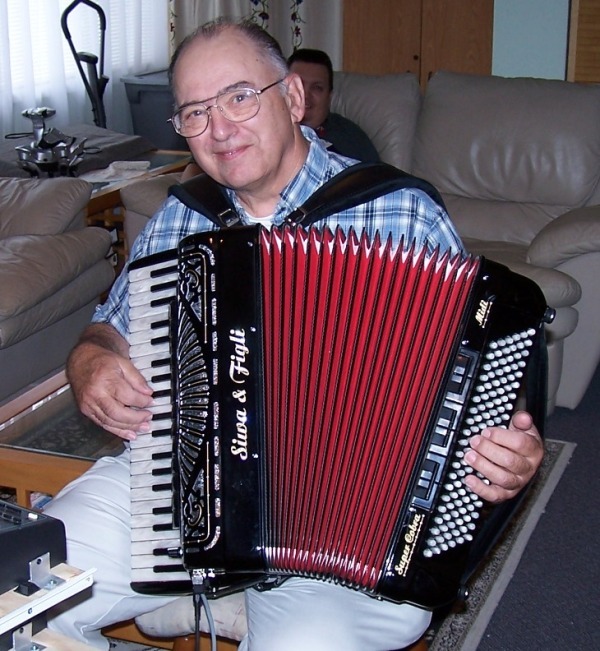 "The new accordion is great... Everyone who has heard the accordion really likes it." We would like to welcome Dallas Vietty to the Siwa & Figli Featured Artists Club. It is a pleasure and honor to have another very talented young artist endorse our brand. 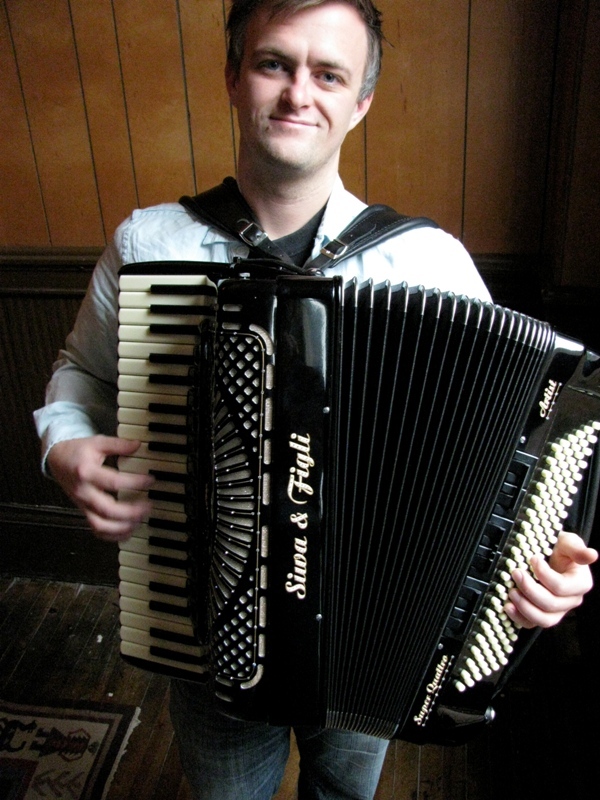 Dallas specializes in Parisian swing-waltz style of Musette and Gypsy Jazz. 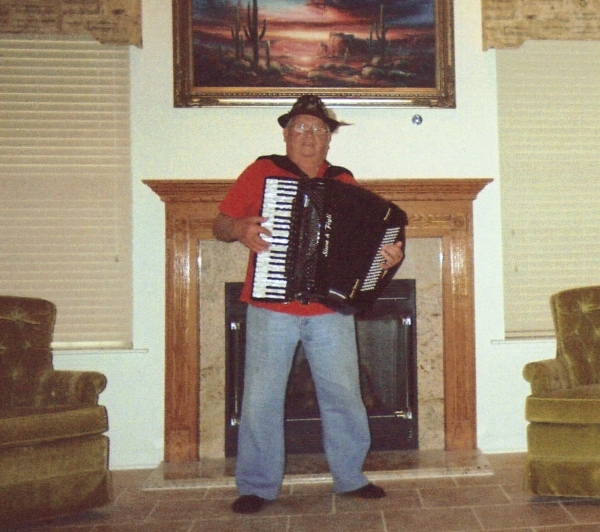 He performs with a Super Cobra Elegant accordion. 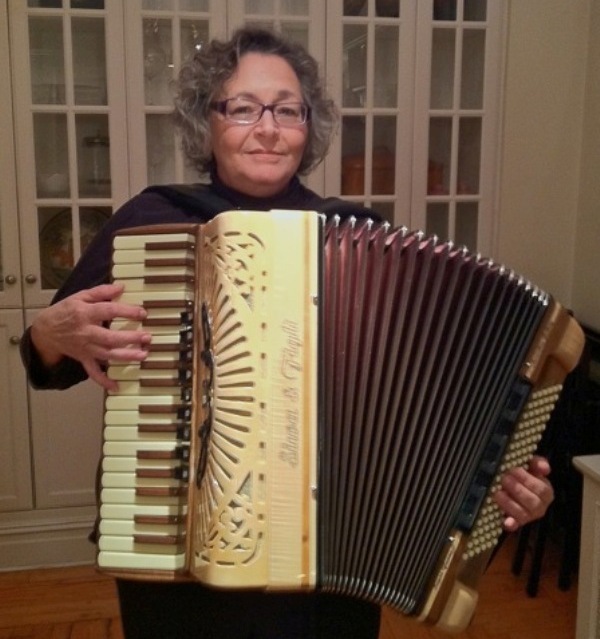 "I am thrilled with my new Siwa & Figli Super Quattro Compact Mussette accordion! Our collaboration on the reed configuration and body size/weight was right on the money. 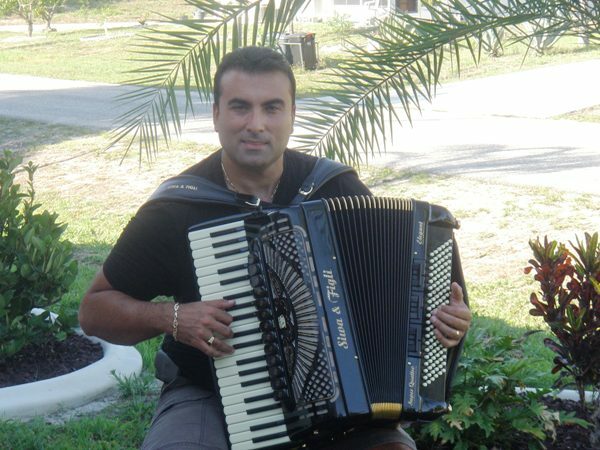 This accordion has so much personality in sound as well as great looks! The 13 treble registers offer wonderful combinations from dry through mild musette and even wonderfully wet musette. Yet the voices are never harsh. I am most amazed at how each reed set blends with the others." "I am still thrilled with my Siwa, and was happy to spend some time with fellow Siwa owners Sergiu and Sergei last month at a Gypsy Jazz workshop in Massachusetts." 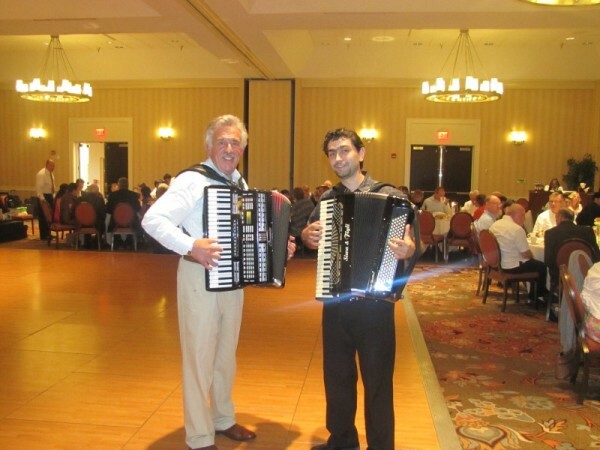 Matt Schreiber, Sergiu Popa, and Sergei Nirenburg swapping accordions at the Gypsy Jazz workshop in MA in June 2013. "I just love the clean sound"
"I can’t tell you how pleased I am with this instrument. Every time I play it, I discover something else I like about it." 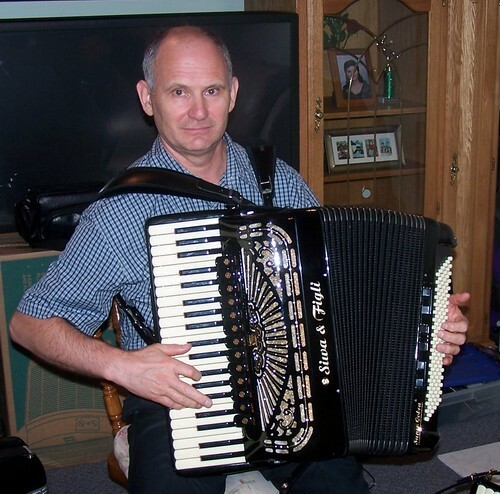 "A fabulous accordion, very powerful accordion. The touch is amazing... I love it!" 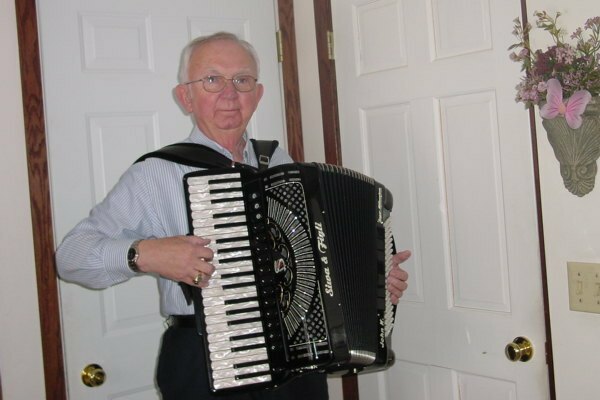 "I can't tell you how thrilled I am with my new accordion! You are right; it is magnificent." 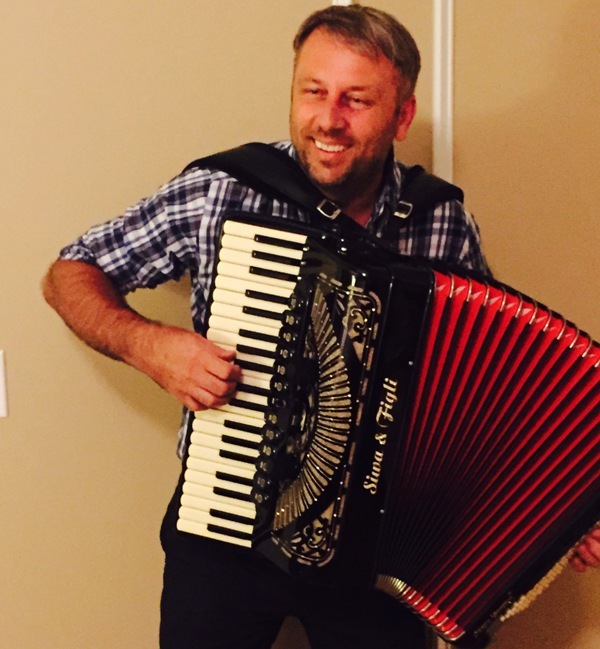 Boki Cvetkovski joined the Siwa & Figli Featured Artists Community with a fantastic and unique Super Quattro Walnut instrument from the Exclusive Accordion Gallery Series. 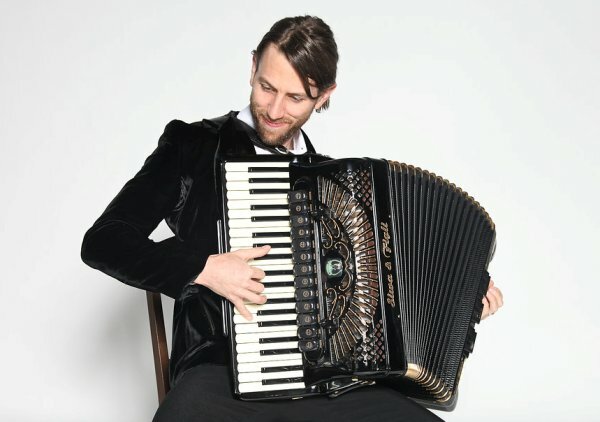 Glenn Miller's patience has been rewarded with a special custom-made Super Yavor accordion from the Exclusive Accordion Gallery Series. It takes over a year to craft such a fine instrument. 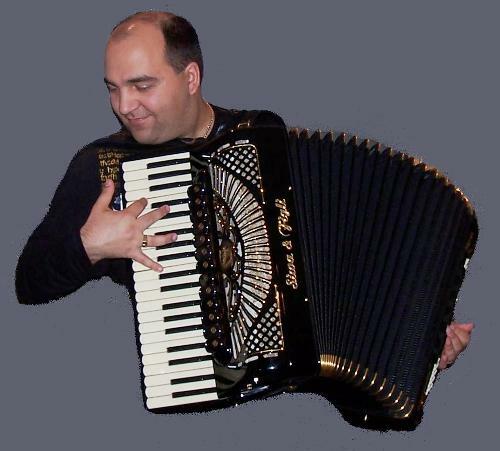 Waclaw Koneczny endorsed the special Siwa & Figli Cobra Jazz Accordion. 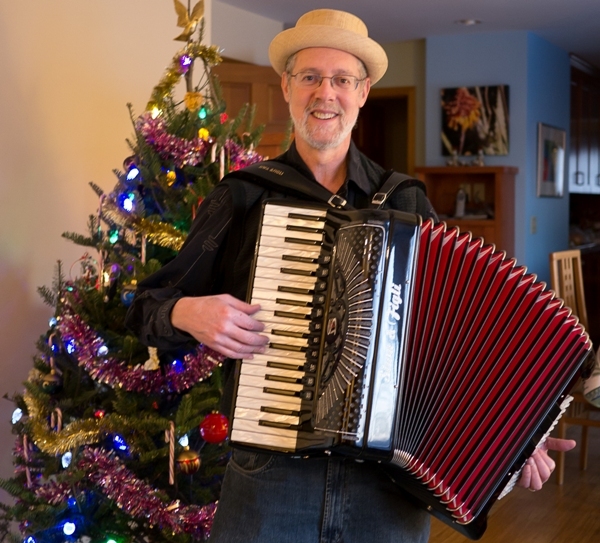 John Krempasky is happy with his new Siwa & Figly Super Millennium Hybrid Accordion. Paulo Dantas has joined the Siwa & Figli Community with a special 25th Anniversary Artist model. You can enjoy his artistry at our Video Library. We would like to welcome Jeff Anderson to the Siwa & Figli Community. 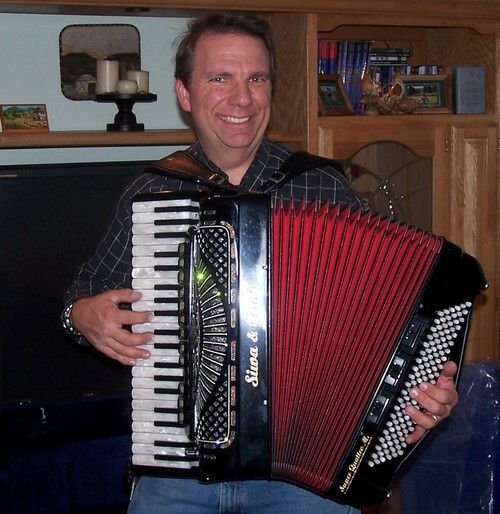 Jeff selected the Super Quattro Musette Accordion. 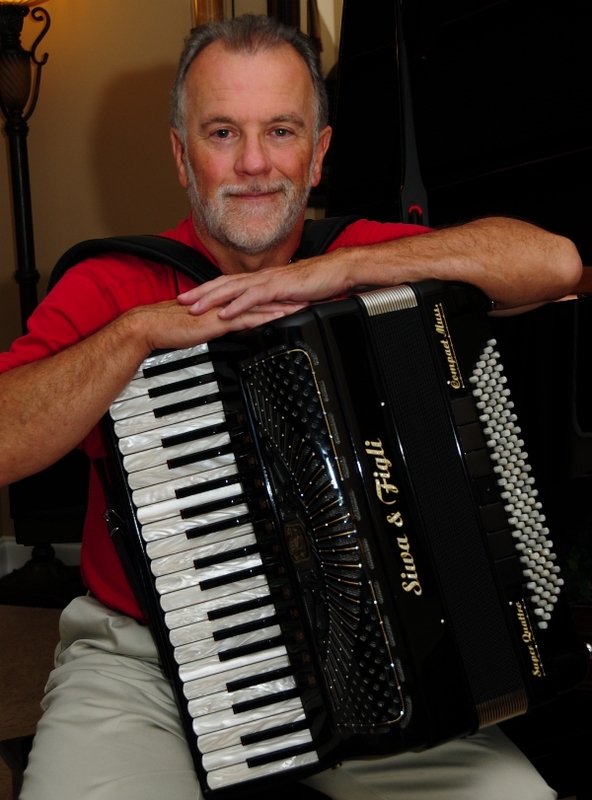 Tom Smith is a highly respected classical and jazz accordionist. 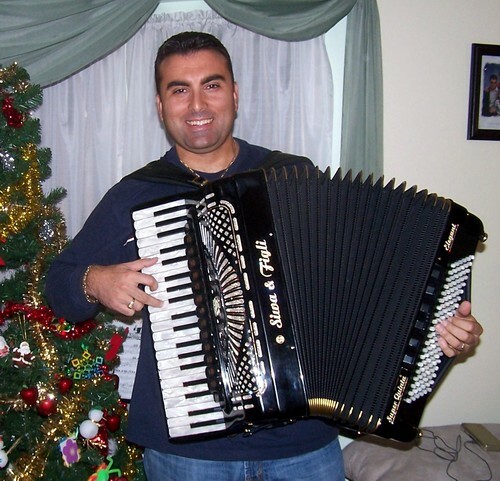 We are very happy he selected the Siwa & Figli Super Quattro Elegant accordion. 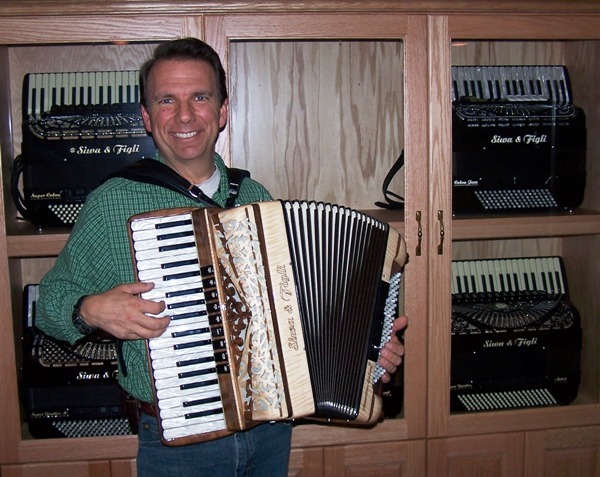 Eddie Zee has endorsed the latest "Hey-di" MIDI accordion. 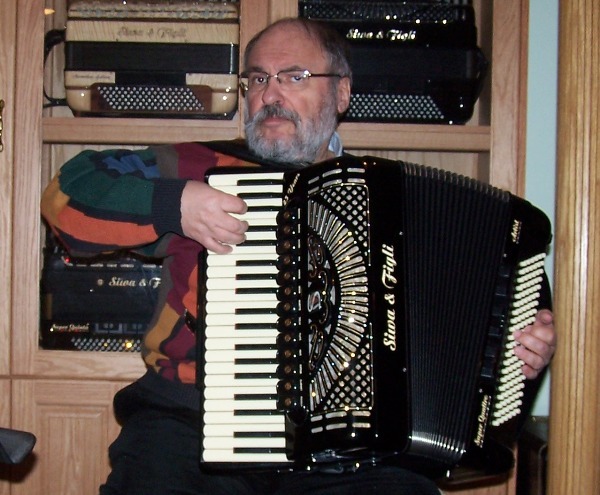 Dragalin Muscan is a master of the classic Romanian and Serbian folk music. 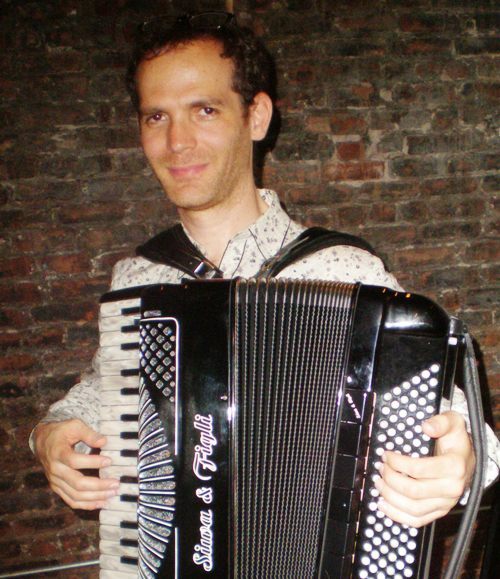 He performs in New York City on a Siwa & Figli Super Quattro Artist accordion. 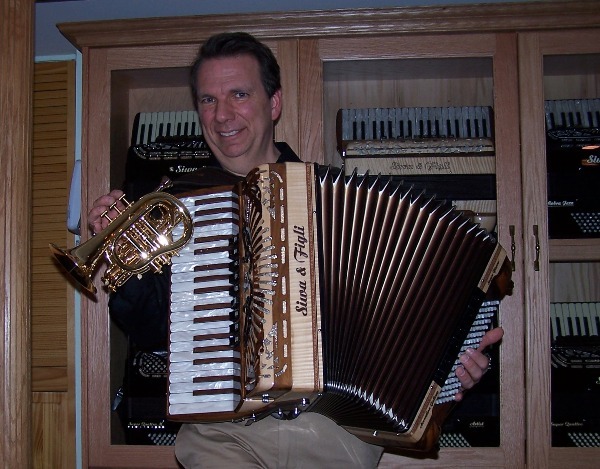 Phil Bonsiero plays Siwa & Figli Super Quattro Compact "Hey-di" MIDI accordion. 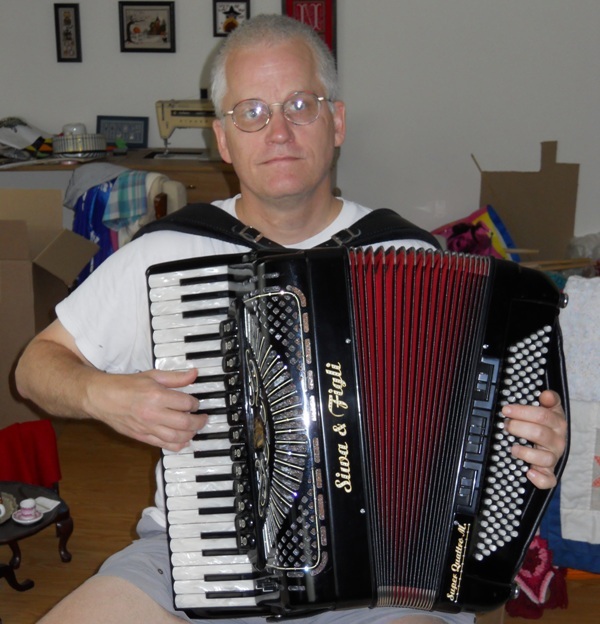 Phil teaches music at Goucher College in Blatimore, MD. 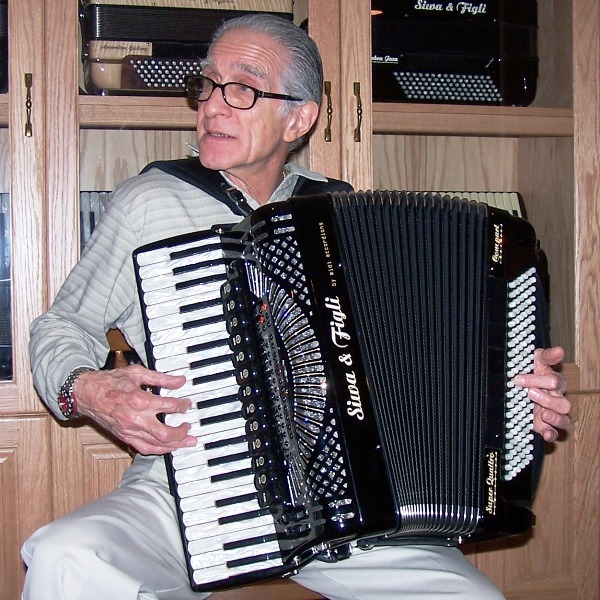 Ron "Austie" Austalosh is a legend among polka lovers. 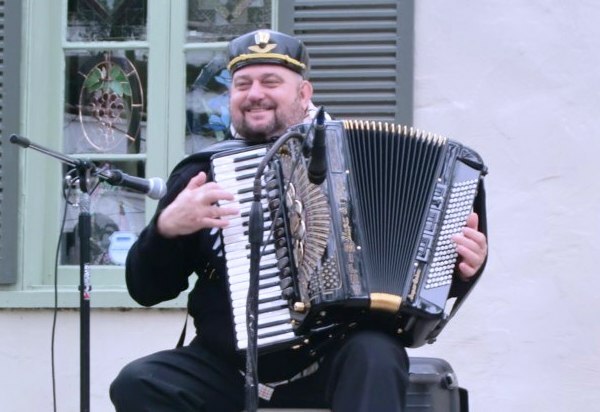 Austie is an accomplished atrists and composer in various other music styles and needs the versatility and power of the Siwa & Figli Super Quattro Musette MIDI accordion to express his musical ideas. 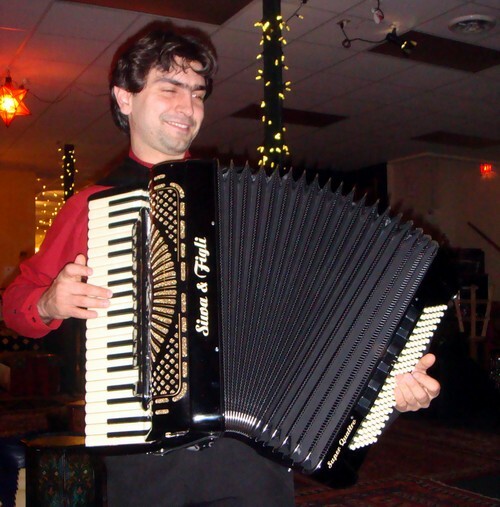 Anthony Ciotti with his Super Quinta Accordion. Anthony performs with the Leigheas band. Photographs courtesy of Guy Klucevsek. 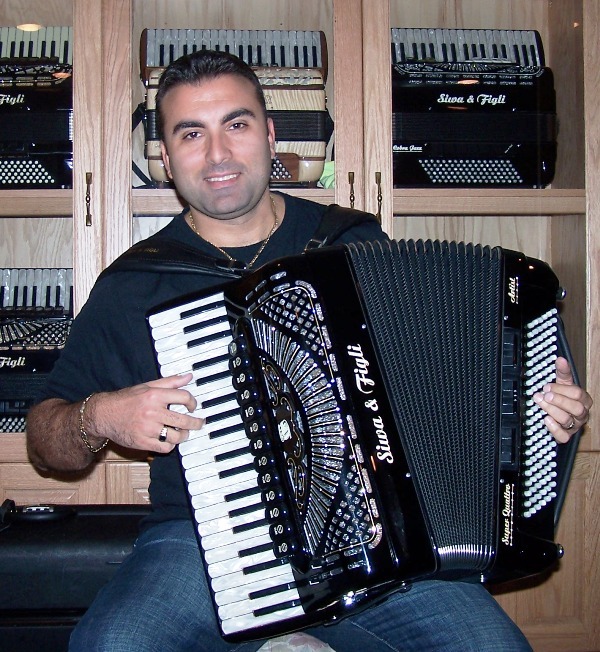 Mario Attilo with his Super Quattro Elegant Accordion. 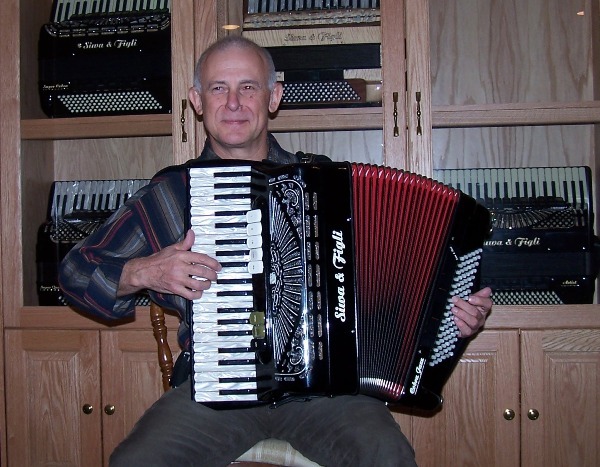 Mike Barelick enjoys his Super Cobra MIDI Accordion. 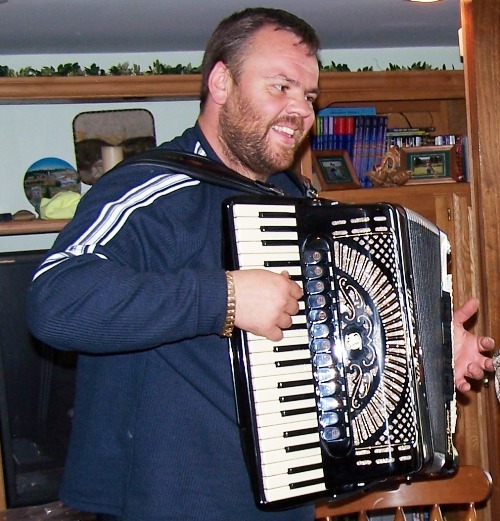 Velibor Drobnjak is a long time Accordion Gallery friend. He loves the Super Quattro for Balkan music. 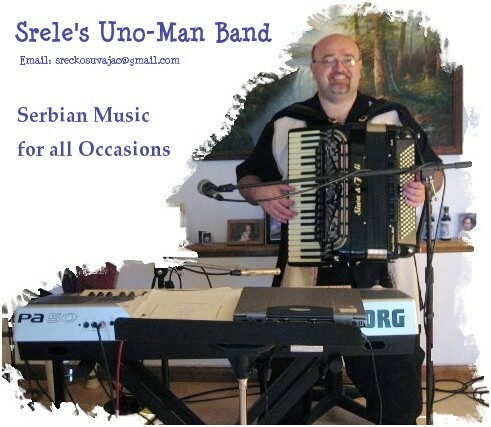 for his diverse repertoire of classical, jazz, and ethnic music styles. 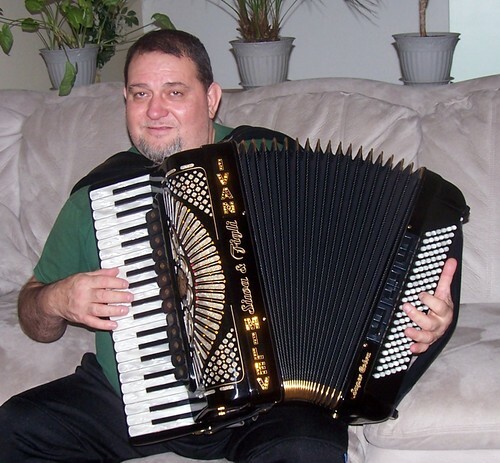 Sergiu Popa is one of the most brilliant and recognized virtuoso accordionists in Canada. 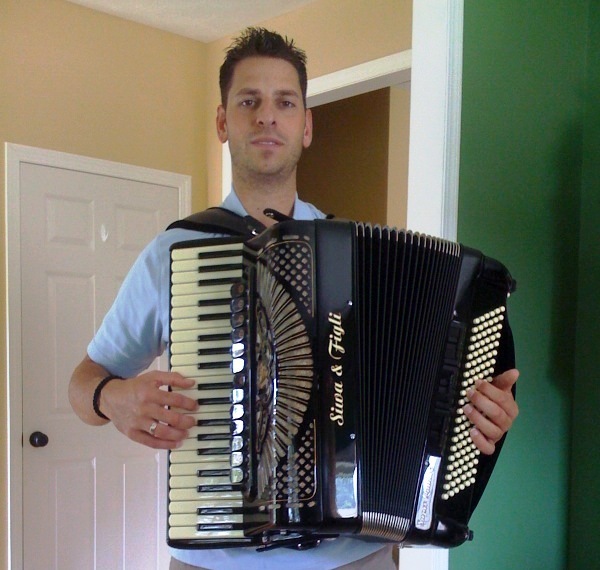 He selected the Siwa & Figli Super Quattro Elegant accordion. with a Siwa Super Quattro Artist. 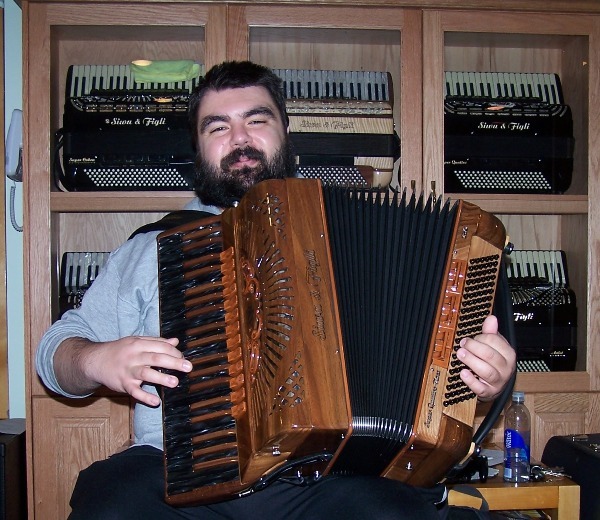 Vladimir Mollov is a proud owner of a Siwa Super Quattro. 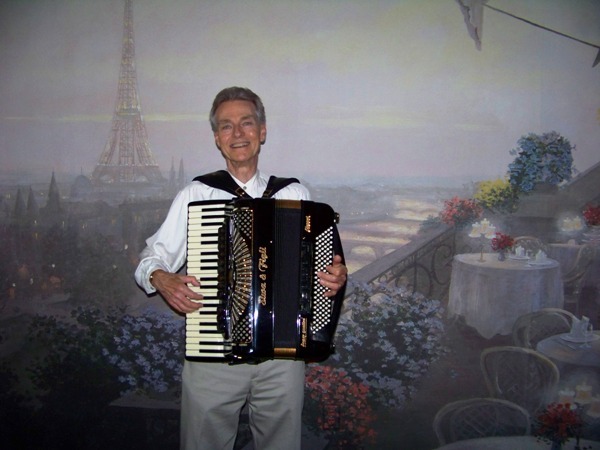 He has performed with the Duquesne University Tamburitzans on hundreds of concerts throughout the United States. 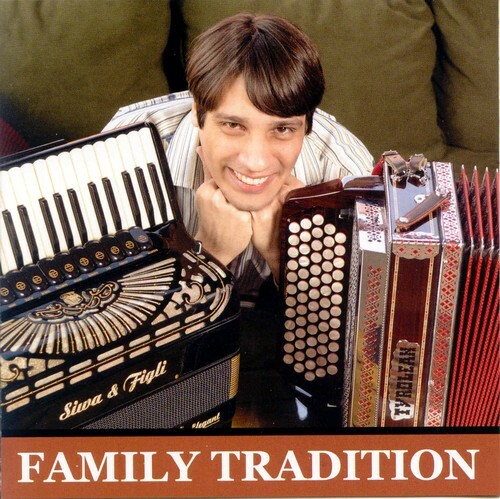 His original compositions present a fusion of Balkan ethnic music and jazz. We are happy to have him among the Siwa Featured Artists. 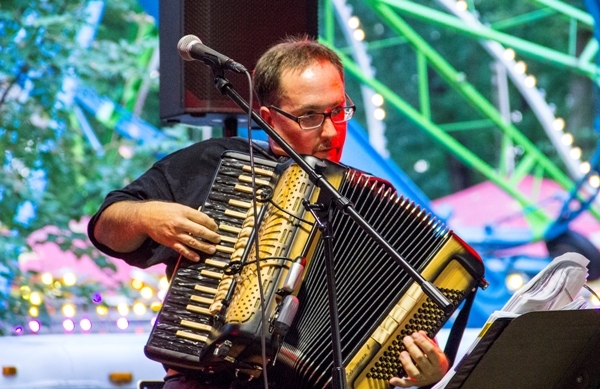 Grzegorz (Greg) Krepa with the Polish American Folk Dance Company (PAFDC) during a performance at Peter Norton Symphony Space, 2537 Broadway New York NY. are among the favorite entertainers for live audience throughout the USA. If they are on stage you’ve got to dance! 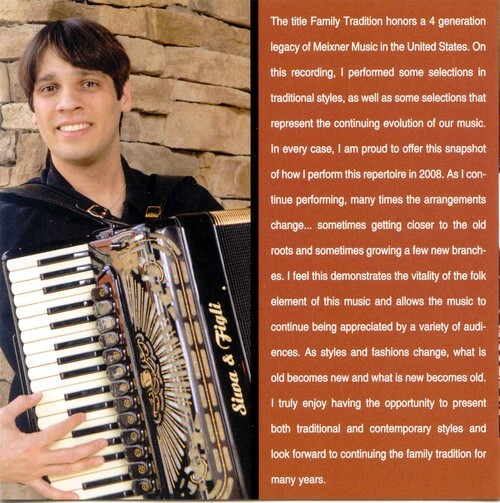 Nicu Helerea joined the Siwa & Figli Community with a gorgeous Super Cobra accordion. 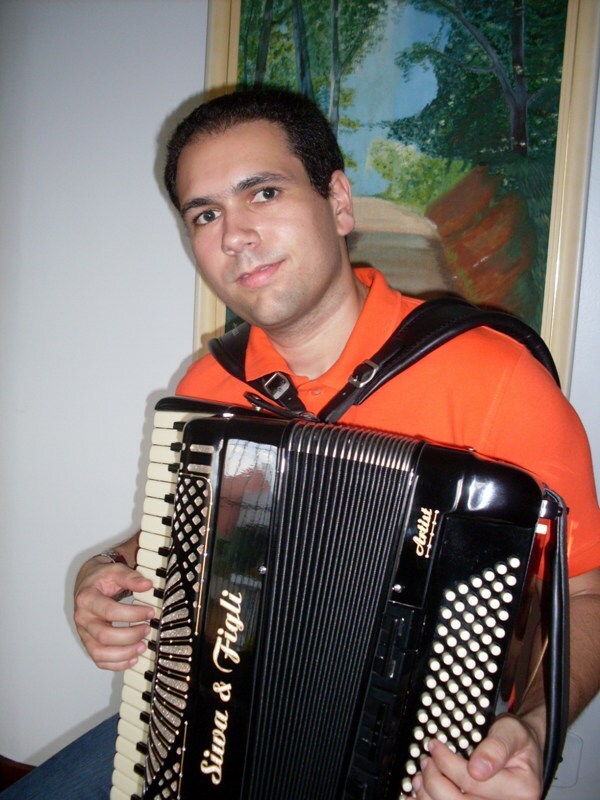 Nicu plays professionally and teaches accordion artistry in New York City. 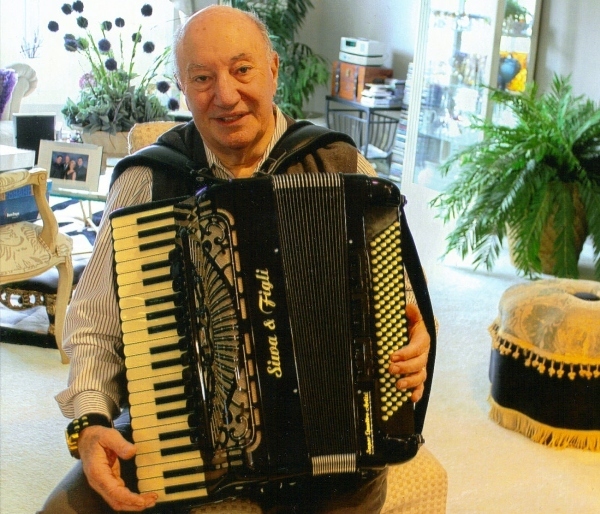 Ivan Milev is an idol for several generations of Balkan Accordionists. His music can bring tears in your eyes and make you dance at the same time. Amazing! 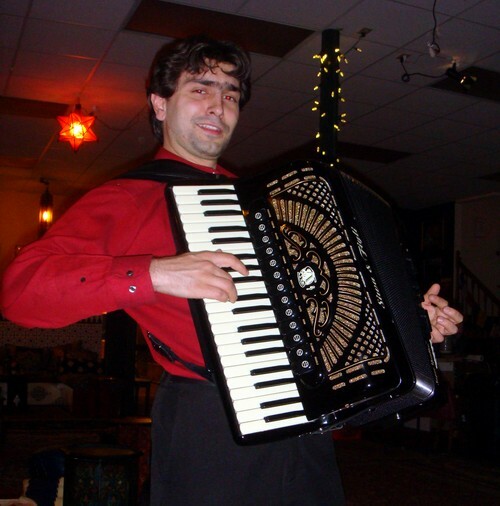 With his new Super Cobra MIDI Srecko has finally found his ultimate accordion. With Phil Bonsiero the first Super Quattro Compact is in good hands. Esad and Nedzad admire Nedzad's new Super Quattro Elegant. 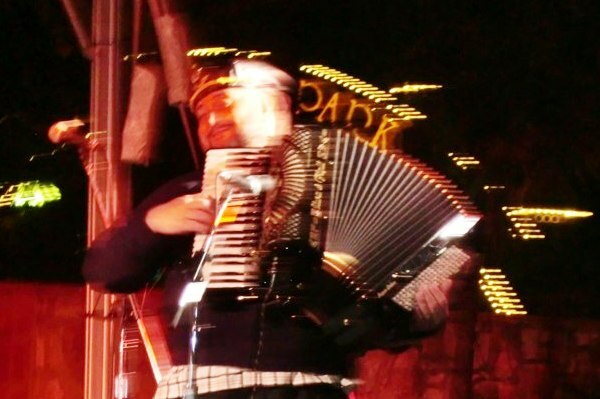 Dragalin Muscan is among the best professional accordionists in NYC. 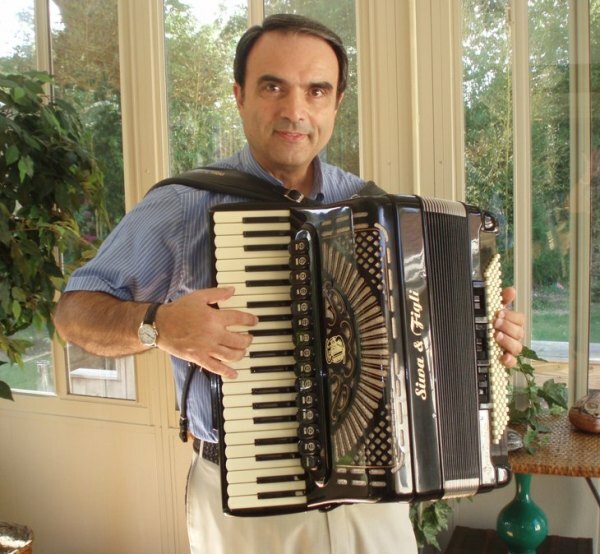 You can tell he is inspired by the power of his new SIWA accordion. Copyright © 2007-2017 Accordion Gallery All rights reserved.